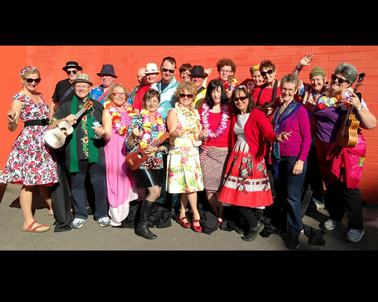 A Newcastle community choir with a little difference — a ukulele difference. Ukestral Voices present three- to four-part harmony arrangements of world music, blues, pop, and traditional gospel, but accompanied and performed on the uke. It’s a rich vocal sound with an underpinning of ukulele arpeggios and lead riffs. Check out what happens when you put it all together — it soars!